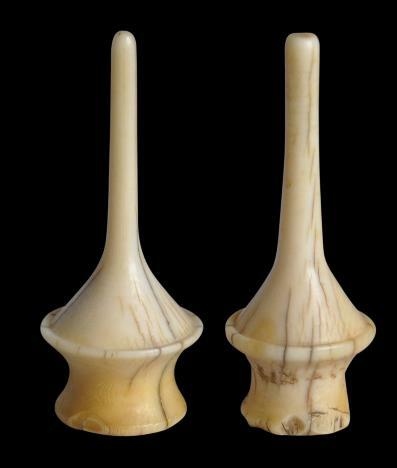 These two ivory ear plugs (a near pair) would have been worn by both men and women of the Karen ethnic group of Eastern Burma and northern Thailand. 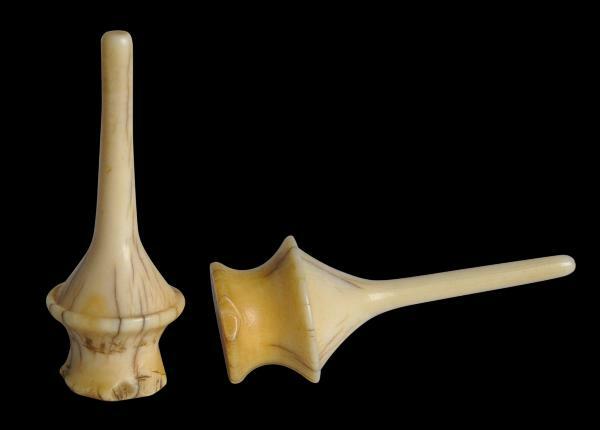 The plugs were inserted into large holes in the ear lobes. 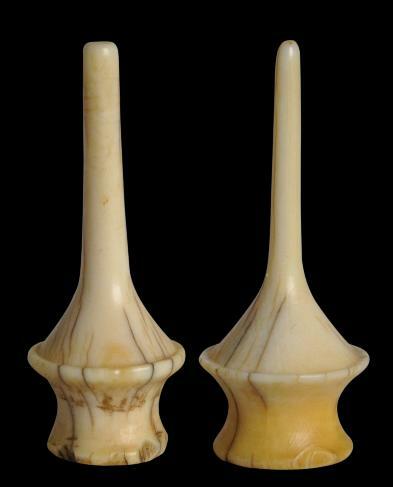 Each is carved from a single piece of ivory. Similar examples are illustrated in Hoek (2004, p. 210) and Lewis & Lewis (1984, p. 34-35). The pair here is in fine condition. One has small old chips to the edge of the base, no doubt the result of usage. 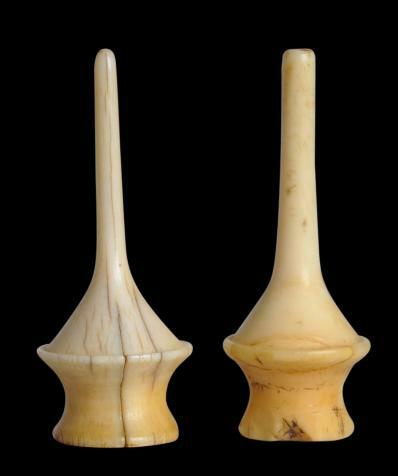 The ivory has excellent patina from age and handling.